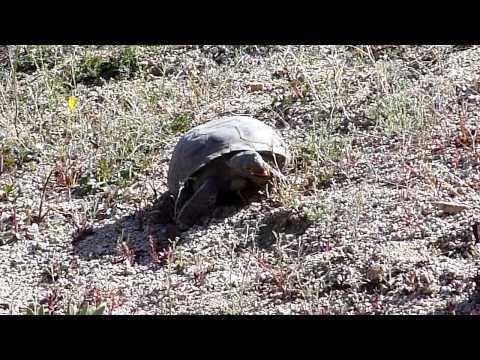 This desert tortoise captured our attention for quite a while in Joshua Tree National Park. He was a magnificent creature. His shell was over a foot in diameter. He slowly ate his away along the desert floor, munching so loudly that we could clearly hear him chewing from where we stood several feet away. He seemed blissfully happy and unaware of the world around him, sort of like how we are when we are hiking these national parks and disconnected from the real world. This little fellow was such a draw that a weary camper carrying a full pack hiked two miles back to this spot when another hiker told him about the tortoise.